Limestone, much like other stones such as granite or marble, provides an eye-catching showcase for a hearth, but the fireplace residue may dull the otherwise stunning surface. Cleaning a limestone hearth effectively requires the use of a high-alkaline cleaner that cuts through the dirty film that resides on the limestone's surface. Soft scrubbing tools and the right cleaning agents will bring your limestone hearth back to its original grandeur. Sweep loose dirt and debris from the limestone hearth, using a hand-held vacuum. Place old sheets or cloths around the limestone hearth. Mix 2 tablespoons of high-alkaline cleaner into a bucket of water. Add 1 ounce of chlorine bleach to the water. Stir the water to distribute the bleach evenly. Wet a cloth with the cleaning mixture and wring out the excess water. Wipe the cloth over the limestone hearth, starting at the bottom and working your way up. As dirt comes off the limestone onto the cloth, rinse it in the soapy water to remove the grime. Replace the soapy water with new water when it becomes too dark and dirty to use. Wet a clean cloth with water, and wipe it over the hearth to remove the soap and bleach. 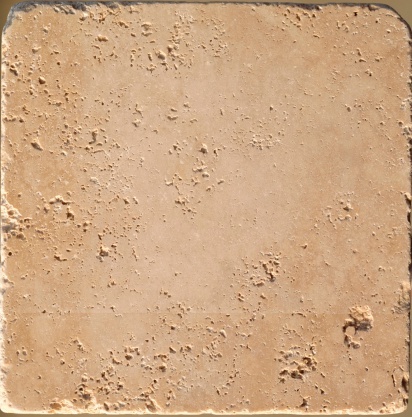 Apply a tile and grout cleaner to any stains remaining on the limestone. Allow the cleaner to remain on the limestone for 10 minutes. Scrub the cleaner into the stains, using a soft-bristle brush. Wipe the stains from the limestone with a wet cloth. Dry the hearth with a clean cloth. 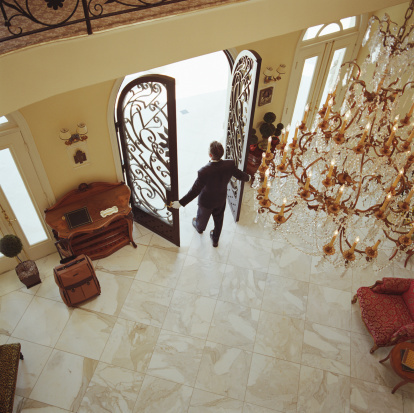 Spray a stone cleaner onto a clean cloth and wipe it over the limestone to restore shine to the surface.